There are various characters in Destiny Child, and they are categorized into 5 types; Attacker, Defender, Debuffer, Healer, and Supporter. Each type performs a different role and uses different skills in the game, so it is important that you know which Child you need to use in certain situations. The range of type composition is extremely deep depending on the content, and you can complete your own deck based on your understanding of each type and the content in the game. The Attacker deals considerably higher damage than other types by performing skills with more higher scaling and number of hits. This is why the type is considered the main damage dealer in combat and is the most important type when it comes to fighting against strong single enemies such as the Word Boss or Raid. Due to their influence, the priority of Evolution and Uncapping for this type is higher than the other 4 types. There are also a number of Childs with special effects such as hitting multiple targets, poison, bleed damage, and defense nullifying damage; these are the foundation of the Attacker’s firepower. Debuffs like poison and bleeding, in particular, can build up the damage regardless of the opponent’s defense even in the early game, making them quite helpful in the early part of the storyline. However, you should avoid making a deck with only Attacker Childs. Since the type has immense strength and firepower, they also have obvious weaknesses. The type’ defense and health stats are the lowest among the 5 types, so most of them are glass cannons. Unlike the Supporter, Debuffer, and Defender types, the Attacker has longer skill cooldowns and slower Charge Rate, thus the deck turnover rate is quite bad. 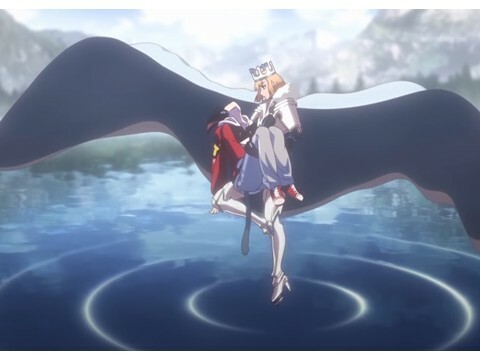 It is, therefore, more appropriate to have Attacker characters protected by other types; this provides the Attacker Child with multiple buffs so that he/she can perform stronger attacks. In order for the Attacker Child to perform at their maximum potential, damage increase and/or critical rate buffs are a must, so less than 2 Attacker Childs in one 5-man party is usually recommended. Attack damage is the top priority when considering which equipment to wear, along with critical rate and agility to increase the hit chance. If it is too difficult to withstand the enemy attacks, additional health from either armor or accessories is preferred. The Defender is specialized in protecting the allies from enemy attacks. Although the type doesn’t have high attack damage, they can mitigate the incoming damage with Barriers or absorb attacks by taunting enemies. This type possesses the highest health and defense stats of all types, so they are relatively better at surviving heavy attacks even when they are not uncapped or leveled up. Of all of the different types of Defender characters, the most favored ones are the Childs with Barrier buffs. The Barrier prevents the Child from losing health and is extremely useful for all content including Story, Raid, and Devil Rumble. This is the reason why a Child with Barrier buffs is a must when you play the game in the beginning. Having multiple Defender Childs in the team is not recommended however; their attack capabilities are inferior to the other types, which can cause battles to be drawn out. Using multiple Barrier buffs is also not viable as they do not overlap. The amount of Barrier is only affected by skill level. This means that the Evolution and higher stats after leveling up don’t influence the total amount of Barrier. Because of this, the Evolution priority for Defender Childs is quite low unless they die frequently; you only need to focus on leveling up their skills after Uncapping. The Defender already possesses a high defense stat, but the number increases at a gradual rate, so it is better to wear HP-focused equipment. Damage-focused equipment is not required for any of the characters in this type. The Debuffer weakens the opponent and inflicts damage over time (DoT). They are specialized in restraining the enemy’s movement with CC such as stuns and silences while inflicting debuffs such as bleeding or curses. 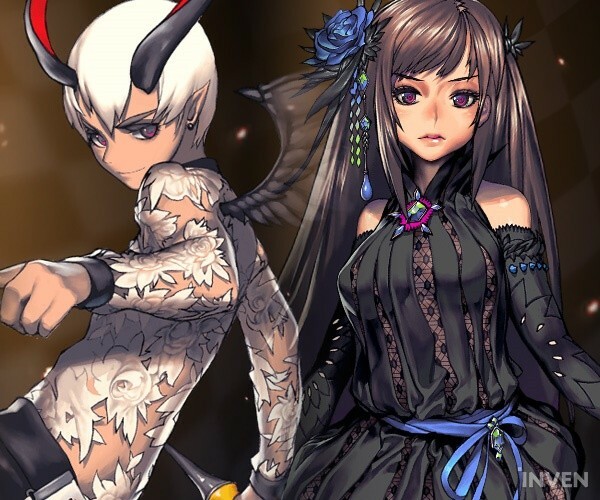 Some of them also have skills that reduce enemy defense and/or increase the damage or duration of the debuff, which help the Attacker Childs to increase their firepower when fighting the World Boss or Raid. Since they can restrain and deal damage regardless of the enemy’s defense stat, the characters in this type serve a more significant role than the Attacker Childs in the early Storyline, when your overall damage is not very powerful. Not only do they inflict damage, but they also increase the survivability of allies. The PvP content is where the Debuffer shows its true potential. Just like the Supporter, they generally possess the fastest skill cooldown and Charge Rate, enabling them to attack first when combat begins. They can then continue attacking without being interrupted thanks to their CC. They also have a high agility stat, which makes their CC and debuff skills more likely to land, and an enemy’s Fortitude cannot prevent the damage coming from DoTs as it is not considered physical damage. However, they are definitely not an all-around type. Although they are good at attacking enemies and disrupting their skills, the total amount of damage is lower than Attacker characters. 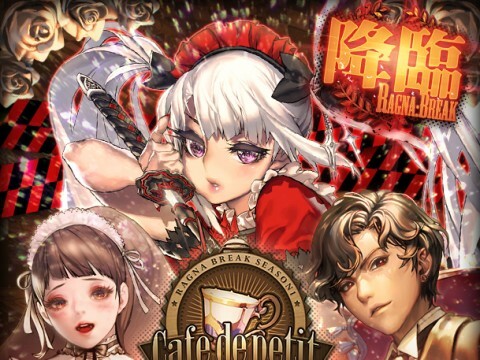 This is especially detrimental in content where you need to deal a lot of damage quickly, such as Lagna Break and World Boss; in this content, the Debuffer is not used as often unless they provide defense reduction CC. Since they have the second-highest attack damage, their HP and defense are second lowest among all types, so they also require some protection. Aside from cases where you have a number of Childs who can completely prevent the enemy attack with stuns, it is safer to have a Child with healing skills or a Defender Child who can absorb attacks. Agility is the top priority for Debuffer Childs. Their chances of inflicting debuffs are heavily influenced by agility, thus it is a vital stat. If the skill allows a Child to hit the enemy multiple times, then higher attack damage can be an efficient choice. The Healer is specialized in increasing the survivability of a deck by healing allies and providing Fortitude to nullify physical damage. Unlike typical RPGs, the Healer in Destiny Child has the second-highest defense stats. The type provides various skills to ally Childs such as healing over time, instant healing, dispell, Fortitude, and Barriers. Although their attack capability is the lowest, they help maintain the combat strength of the deck during drawn-out battles. 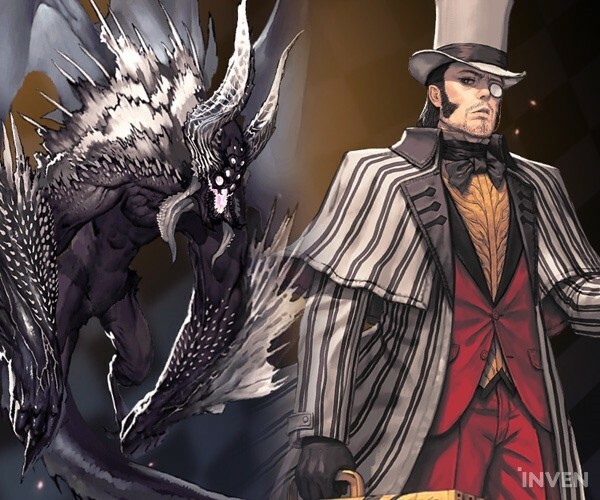 The type is particularly vital for content such as the Raid and World Boss, where the survival of the whole team is crucial. Maat and Syrinx, in particular, are considered must-have characters among the 5-star healing Childs. Maat casts an AoE heal and resurrection that is outstanding in the 20-person World Boss fights. Syrinx possesses multiple Fortitudes and increases the survivability of the ally team in PvP. 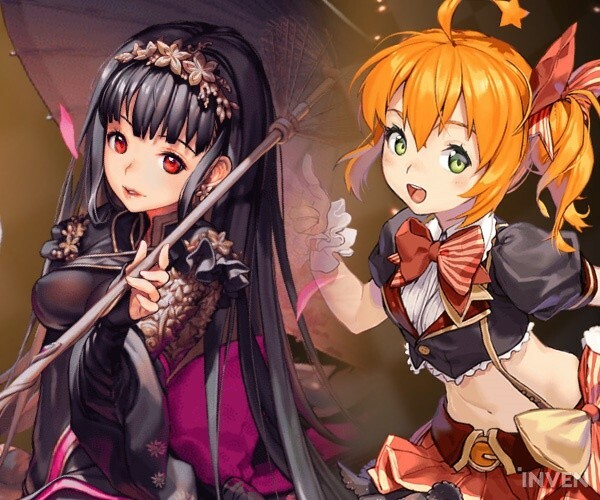 On the other hand, the Healer Childs below 4-star are not preferred because the number of time they can use their skills in a given time is the lowest among all types. 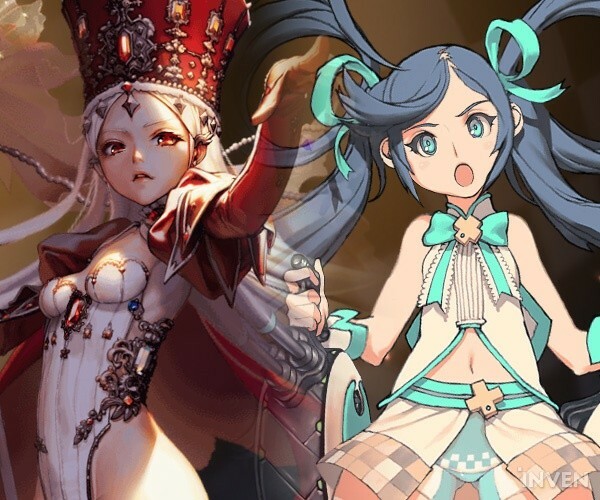 While the 5-star Healer Childs are often used for their special abilities such as Fortitude and Immortality, the 4-star Childs don’t really have any merit aside from healing. 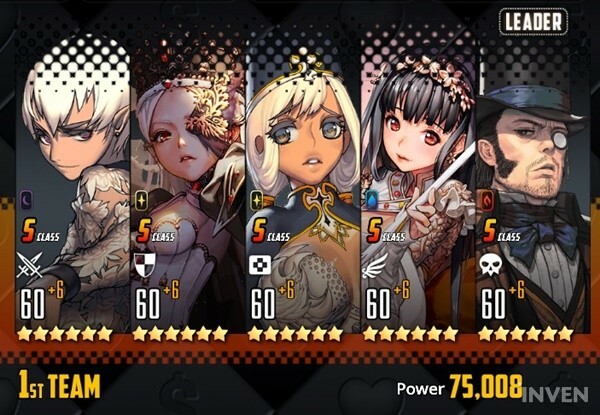 If you do not have a 5-star Healer Child though, it is often better to use Leda rather than a 4-star Healer Child. Leda is a Supporter Child who uses skills more often than 4-star Healer Childs, and she also has a HoT buff she can use on allies. The effect becomes stronger when she is used with Maat; this duo is frequently used for the World Boss. The most important stat for the Healer is Critical Rate. The amount of healing increases when the attack damage of the Healer Childs increases, but not by a significant amount. On the other hand, the critical rate allows the amount of healing to increase drastically when activated. HP and defense stats do not have higher priority than as their survivability is the second best among all types. The Supporter’s role is to enhance the team’s performance by providing buffs. It is the most vital position in the deck; a deck without a Supporter is extremely inefficient and thus not recommended. The range of buffs the Supporter provides is quite vast - from the Skill Gauge Charge Rate increase, critical hit damage and rate increase, attack damage increase, Barriers, and skill damage increase. The most important one out of all buffs is haste, which influences the Skill Gauge Charge Rate. Haste increases the number of skills a Child can use in a given time, ultimately enhancing survivability, firepower, and Overall strength of the whole deck. This is the reason why Sang Ah is considered the No. 1 Supporter choice as the Child with the best haste ability. 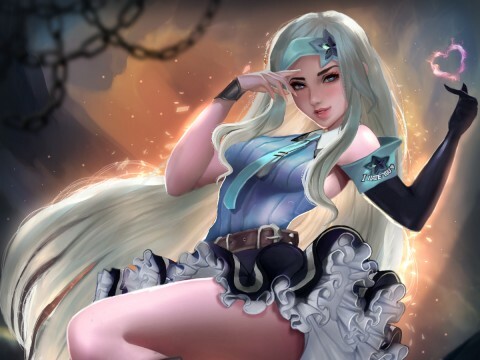 In addition, buffs such as critical rate increase and skill damage increase can heavily impact firepower, therefore more Supporter Childs are preferred for the content where the total amount of damage is crucial. Some Supporter Childs can also inflict CC skills on the enemies, which is quite beneficial under certain circumstances. The Supporter is affected less by changes in stats than other types and their general stats are also quite balanced; this makes them less tedious to deal with when it comes to equipment. Give them more attack damage, agility, and critical rate for more attack damage, and HP and defense for more survivability. However, Childs such as Sang Ah who use skills to stun targets are better with agility. The early Story dungeons are quite easy to complete, so you don’t really need to worry about which Child you use. 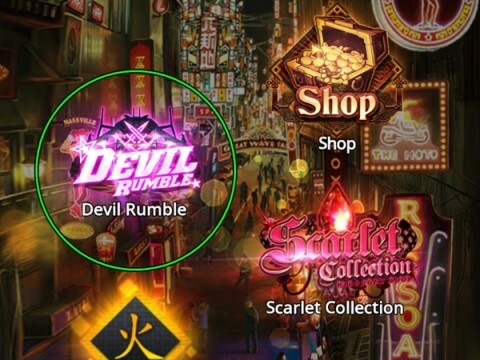 However, you will soon encounter a number of challenges as you progress to the higher stages or begin to play Devil Rumble. In this case, you need to standardize your deck and secure more stable firepower and survivability. The most fundamental approach when completing a deck is to have one Child of each type; a Defender Child who acts as a leader of the team, a Supporter Child who enhances the team, a Healer Child who heals the whole team, and an Attacker Child and a Debuffer Child who take care of dealing damage. All you need to do after completing your own deck is make small changes depending on what type of PvE content you play. You can replace the Debuffer Child with an Attacker Child or you can even have two Debuffer Childs. If one Healer is good enough for survival, you can exclude the Defender and increase the attack damage with a more suitable Child. In the case of PvP, there’s no one perfect deck as hundreds of players are competing with each other with their own deck. In general, a Debuffer Child who can restrain the enemy’s movement, a Healer Child with haste, and a damage dealer with bleed or poison are used in most PvP decks. Note that the 5-star Child Syrinx is one of the most preferred Childs for Devil Rumble, but other Healer Childs are not that efficient for this content.